If you want to see a bunch of hints for new stuff you’ll have to read through my posts because I sprinkle new with old in almost every post I put up. A-Straight married, or engaged woman falls for another woman; turmoil ensues. 3-Awkward young person coming out story. Yes people. I think I’ve missed this title…and yes, that is both Stockard Channing and Ellen Muth (Dead Like Me) Do I think you should watch this film? Ummm…….if you want to feel like that time you had to come out to your mom…then go for it! Otherwise, you’re welcome you now know this title exists. Yeah…this image does a good job summing up this film. This falls under the category of “let’s talk about being gay in San Francisco.” Honestly, I think this movie pretty accurately represents San Francisco-centric gay life. Stretching the boundaries of relationship. The different classifications of LGBTQ societies. Do I feel like I relate to any part of this movie? Absolutely not. and that’s obviously all I have to say about that. You’ve read this correctly. This here little gem is a lesbian movie starring the fabulous Emily Blunt. This is where we all pump our fists in the air and yell for joy. Wait…put those fists down. This just happens to be one of the most ridiculous films I’ve ever seen! I mean, watch it and tell me what you think but this is a story about two young women in love. One of them is a total drama queen and they both fall into this crazy, obsessive love. Then the one who gives everything up gets quite the surprise. I honestly think this movie was meant to be as ridiculous as the end product. I watched it a few times in disbelief, then a few more times because…well…it’s Emily Blunt! I know, I know I’ve posted this before but seriously. Seriously! This is the best thing ever. Alright, I have a few more movies to go through but I’m going to get this next one over with and finish 2004 on the next post. This show was created by Ilene Chaiken, Michele Abbott, and Kathy Greenberg. It is iconic to lesbians everywhere and set the stage for the lesbian television we were all craving. It showcased smokin’ hot actresses, arguably good storylines, and overall changed the landscape of lesbian television for the better. Who is your favorite character? Mine was always Jenny. Wait, no! Don’t stop reading just because of that! I also loved Lara. 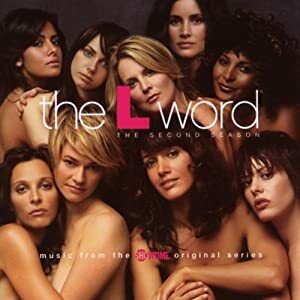 And with the L Word I will offer you something new. I’ve dubbed this web series the Australian L Word. It oozes with drama; you will immediately recognize the “Marina character” and I watched it start to finish and enjoyed in thoroughly. It’s about a girl who is trying to start her adult life and she moves in with her friend. Problem is friend’s girlfriend takes a liking to her and then the feelings become mutual. Add trying to ignore the sexual tension by dating someone else, who is incredibly awesome, by the way, and you have this amazing webseries. The absolute be st character in my opinion is Emily played by Bianca Bradey. Once you see it you will see how grown up I am to love her! Actually, I just realized I’ve seen a short with this actress. Definitely go to their site, watch the series. If you like it throw them a few dollars for another season. 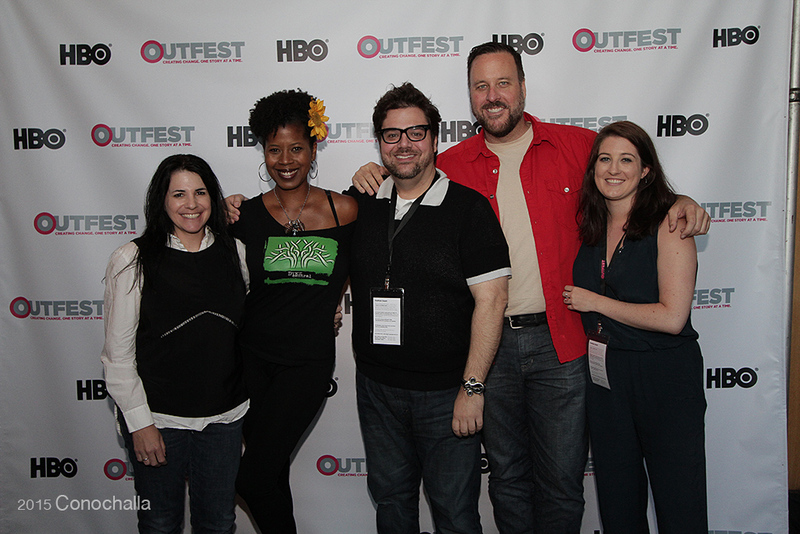 I talked to a lot of web content creators at Outfest. Dude, you have no idea what the people above are doing for us. The women are Tina Cesa Ward, Dalila Ali Rajah, and Kelsey Rauber. I have their personal sites linked in the Filmmakers Direct page. I don’t want to talk to much about their work at this second. I will give what they do a post of their own because they are amazing. So what I’ve learned is the meat of their content is shown through their websites. Even though many of them have distribution through Hulu, OML etc if you really want to be a part of the community then go to their sites, support their series, and spread the word. The biggest challenge is getting the word out there, so here, I’m giving you the word and you have to promise to pass it on! And if you have a few dollars definitely donate to keep them making content especially for us! Tags: 2000s lesbian films, Emily Blunt Lesbian, Lesbian Characters in Movies, Lesbians on TV, New Lesbian Films, New Lesbian Television, New Media Lesbian. Bookmark the permalink.